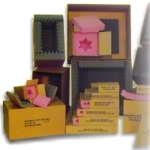 With the combination of exterior corrugated or rugged products with a variety of interior products to protect and maintain the integrity of your products whether sophisticated electronics, telecommunications, computers, sensitive aircraft parts or to meet industrial product requirements, CORAL PACKAGING handles your packaging needs from concept to delivery. 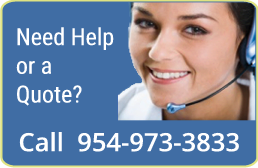 Whatever you require protection from corrosion, moisture, mold, oxygen, harmful vapors, or ultra-violet exposure, we will help you with the right solution. CORAL PACKAGING will help you tailor the combinatios that are exacly in line with your produts. In addition of a superior and dynamic packaging product, Korrvu® anti-corrosion packaging with Intercept Technology™ reacts and bonds with corrosive gases, creating a neutralized atmosphere that protects your product without off-gassing. No capital investment in machines needed. To learn more visit our Korrvu® page. Do you need special packaging suited for for static sensitive electronic components, providing both physical and ESD protection? At CORAL PACKAGING we are ready to provide the solution that meets your strict requirements. At CORAL PACKAGING you can find from stock bundles of bubble wrap to on-demand inflatable packaging like the NewAir® I.B. or the FillAir Cyclone®. Large Bubble - 1/2" - 48" x 250' - Slit 2 x 48"
Medium Bubble - 5/16" - 48" x 375' - Slit 2 x 48" and 4 x 12"
Small Bubble - 3/16" - 48" x 500' - Slit 4 x 12"
* More sizes and anti-static buble wrap are available upon request. When Mil-Specs must be met, CORAL PACKAGING can design and manufacture packaging to meet all current military specifications. Standard Military Reusable Fast Packs are also available. A high-performance packaging solution, Instapak® Polyurethane Foam Cold Chain Packaging keeps products colder, longer. Instapak® PUR foam is proven to insulate better than the traditional expanded polystyrene (EPS). The extra insulation will allow you to save money by choosing more cost-effective shipping options. Instapak® Cold Chain coolers can be designed to your exact size and shape using custom molds and the correct density of Instapak® foam. CORAL PACKAGING and Sealed Air® will help you balance performance and cost to save you money on materials and freight. It all adds up to a more economical way to ship your temperature sensitive products. 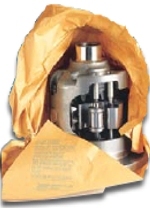 Need more information about Protective Packaging? Instapak® NewAir® I.B., FillAir Cyclone®, Korrvu® with Intercept Technology™, and SealedAir® are registered trade marks of Sealed Air Corporation.